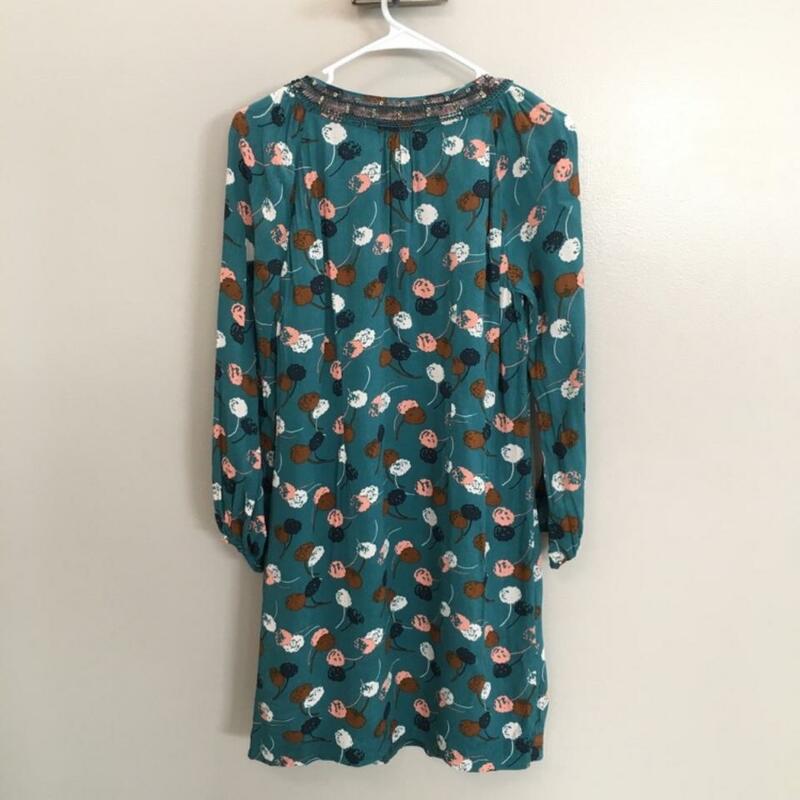 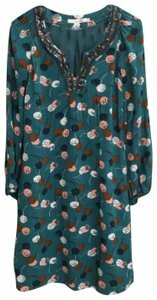 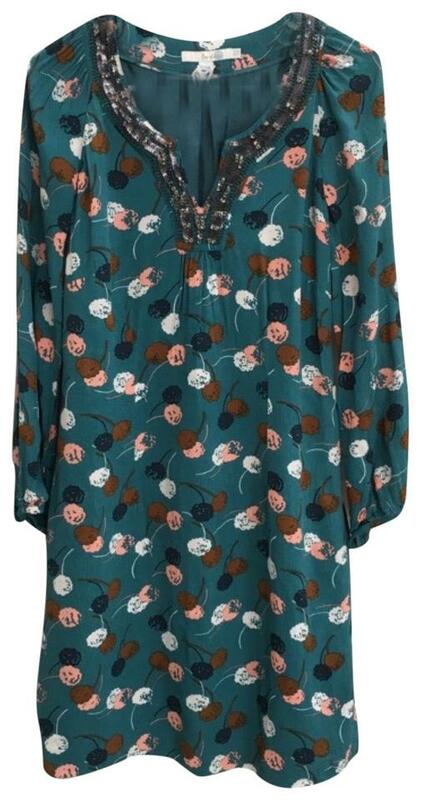 Boden Floral Chiffon Dress. Pullover style with long sleeves and button cuffs, neckline is embellished with beads, sequins, and rhinestone (one missing by the shoulder) Fully lined. 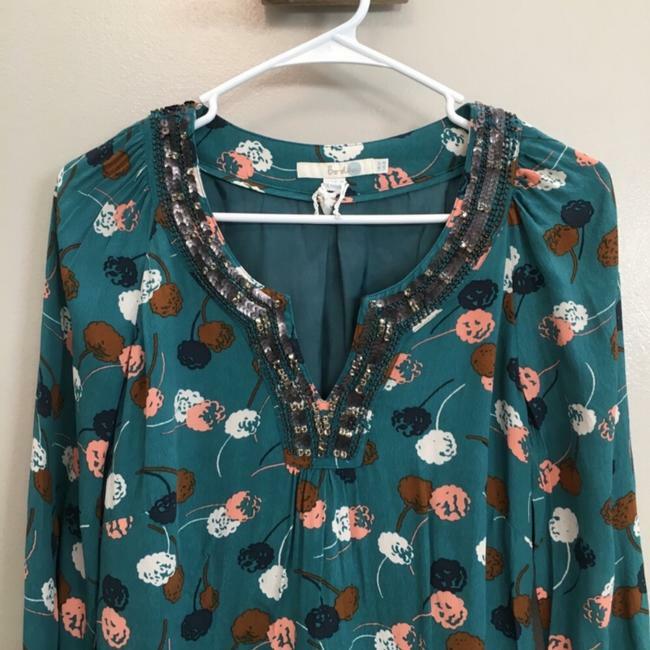 Side zipper. Perfect condition, new without tag!